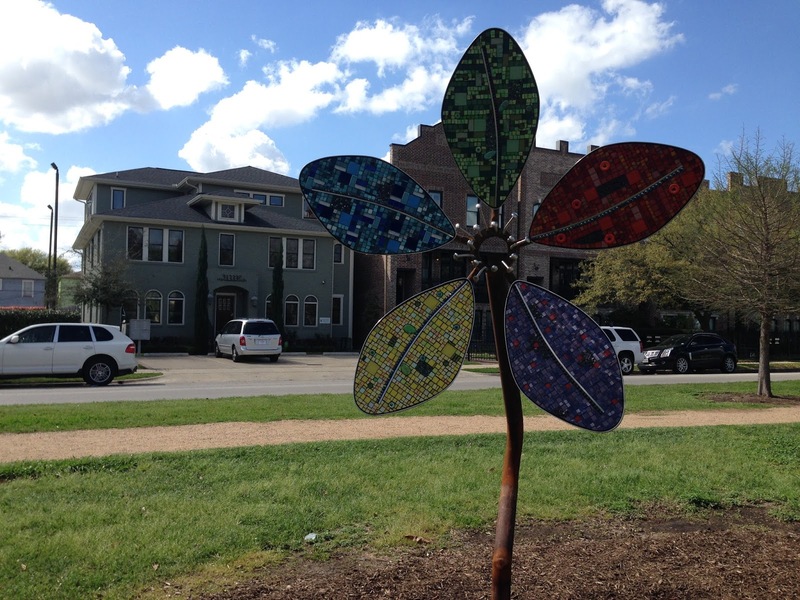 Flower Power by Chris Silkwood & Keith Crane greets me on my way to the Why I Love Houston Properties Office! Why I love Houston….it’s an art-filled city! 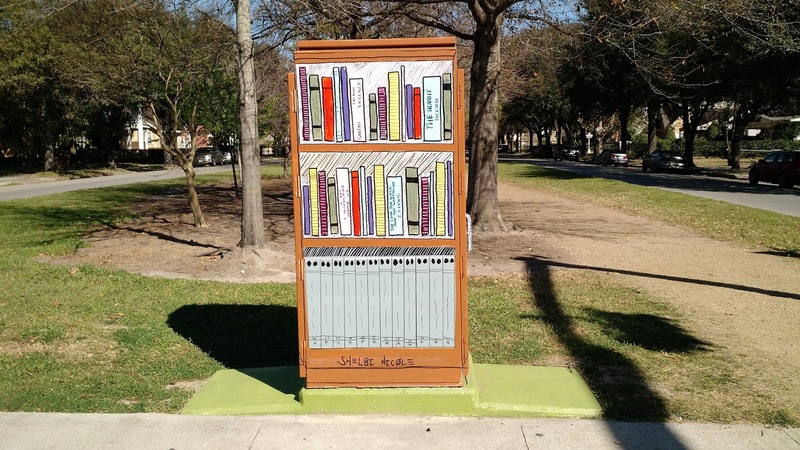 From the Museum District to the street art murals popping up all over the city, Houston is a destination for art lovers.One of my favorite installations, Trail of the Arts, can be found on the Heights Boulevard esplanade. Curators Gus Kopriva and Chris Silkwood have selected another round of sculptures by contemporary Texas artists for the city’s viewing pleasure through December 15, 2016. My office in the 1300 block of Heights Boulevard is in the perfect location for seeing the artwork and enjoying the first Mini Mural in the Heights which I proudly sponsored to help beautify the city one utility box at a time. The Mini Mural Project recently announced that artists have transformed 100 utility boxes into works of art. The Heights Mini Mural by artist Shelbi Nicole depicts a bookshelf with some of my favorite titles. 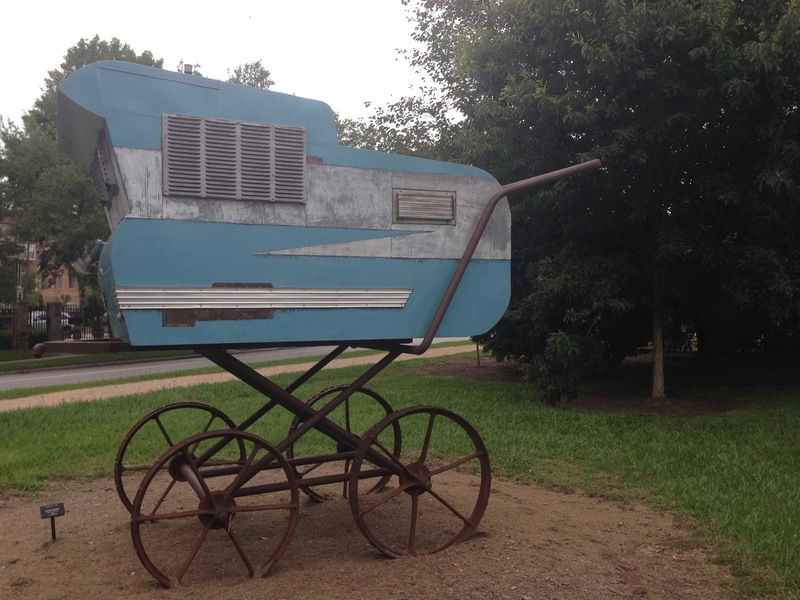 Back on the Trail of the Arts, I love the whimsy of the oversized stroller aptly named, Stroll in the Park, by Robbier Barber. The big buggy sits across from Sara’s Inn, a lovely, locally owned Victorian bed-and-breakfast, where you can lodge out-of-towners for a unique Houston experience. Be sure to take a look at the colorful murals decorating the now closed post office on Yale and 11th St. Students at Hogg Middle School painted neighborhood pride on one side of the building with their zip code mural honoring the Heights. And then head over to Eight Row Flint on Yale and 11th for their delicious tacos, chips and queso, and whiskey menu! Why I Love Houston: Discovery Green’s Sounds Like Houston!